Thank you for registering your interest in OutSavvy. Our vision is to have every inclusive and diverse event worldwide running through the OutSavvy platform. Launching our full ticketing solution in the UK in November 2017, we have a strong loyal partner base on which to grow the business. In 2018 we have a 5.8 times increase in revenue on the previous year. All our technology is built and owned in-house with no licenses. 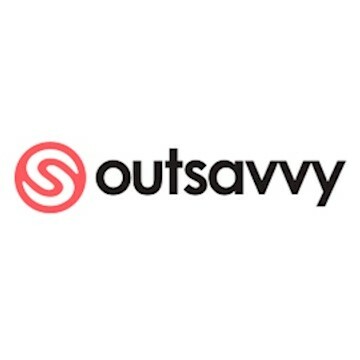 OutSavvy is now expanding in the UK market. Completing this round of investment allows us to complete our technology stack, bringing on larger clients whilst launching in other territories around the world as well as identifying further ticketing opportunities. A complete event management and ticketing service for both our event partners and event goers. OutSavvy is built in-house on a robust and proven platform that has been refined over the past 18 months. Our consumer site works as an event guide for ticket buyers. We have focused on strong SEO and user experience to build a site which ticket buyers use to browse and book. We also have an app for ticket buyers to browse, buy and store tickets on the go. Our event partner technology consists of both a partner app and partner portal for full events management. We have built a technology stack that can support events for 100 people to 15,000 people and beyond. A way to connect event organisers with their audience. Our growing targeted customer base and strong technology solution has allowed us to target large event organisers and convert them from existing ticketing systems. Originally our sales team would target event organisers and sell the solution but now the majority of our sign-ups come from natural search traffic and reputation. Our highly targeted growing community has meant that event partners have been able to target the audience they want for their events. Once moving onto the platform organisers have recorded significant increases in their ticket pre-sales. Our revenue model is based on adding a booking fee to the ticket price, ranging from 5-10% depending on the price of the ticket. This can either be added to the cost of the ticket or included. We have identified a number of revenue growth opportunities for the future as we establish ourselves further in the market.